A credit card application to Discovery, once approved, buys you all your favourite things. 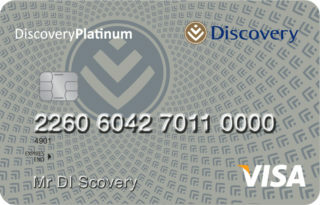 Discovery is an insurance company who deliver value to clients, and they believe their cards can do just that. Your credit card application will entitle you to buy goods at partner stores across South Africa and get up to 20% cash back. Use your Discovery Credit Card for holidays and make use of Royal Caribbean International, Contiki and World Leisure venues. Once you have activated the Discovery Miles benefit, you can earn Discovery Miles on many of your Discovery Card purchases. If you’re not sure how to use the Card with its Discovery Miles, they provide you with a simple tutorial. It’s worth knowing because you have an incredible opportunity to shop with their online stores. And of course, you’ve got 24-hour online access. Discovery Card holders can shop whenever they wish, happily brought to you by Discovery Card. You can also use your card to pay for medical expenses. A separate facility on the card known as your Health Wallet pays for day to day medical expenses. Here’s another exciting aspect of the Discovery Credit Card. Because they are the official card partner to Big Concerts, you get exclusive access to great deals and offers to selected live concerts and events. If your favourite entertainer comes to South Africa, you can buy tickets 48 hours before anyone else. The easiest way to apply is to visit the company’s website, where you can fill in the online application form. Discovery will then process the application electronically, and let you have results within minutes. No longer do you have to stand in queues just to be handed an application form where you wait for weeks to hear if you’ve been approved or not. It’s easy to apply for a credit card online all you need to do is to fill in your name, surname, cell phone number and ID number. Click on the green button to submit. If you are unable to process your application online, phone Discovery on 0860 11 CARD / 0860 11 2273, email them at DiscoveryCard@discovery.co.za or fax them at +27 11 529 2273. Nearly every credit card comes with service charges, and with the Discovery Credit Card, they are fortunately reasonable. Some of the current annual fees you can expect to pay are R60 for the Platinum Credit Card and R37 each for the Blue and Gold Credit Card. There are other minor fees, but you can study them and discover that for such freedom, this is a small sum to pay – https://www.discovery.co.za/portal/individual/credit-card-fees-interest-rates.